When you live or own real estate in the High Country, you can enjoy all of the wonderful things that come with living in such a spectacular mountain region. Not only will you be close to all of the fun things to do and check out in nearby towns like Blowing Rock and throughout the area the Blue Ridge Parkway passes through, you will be right in the heart of everything and close to tons of great resort outdoor amenities like golf courses, secret fishing holes, and fast flowing rapids where you can even go whitewater rafting! Below is a bit of information on some of the best loved activities and things to do while enjoying your time and North Carolina Mountain Property in Boone. Boone Golf Club is located right off of Hwy 321, the main stretch of highway that flows through Boone NC and is one of the best mountain courses to play in the Western part of the state. Open to the public, Boone Golf Club also offers memberships for golf and social events and golf is a huge part of the lifestyle when you live or own North Carolina Mountain Property in Boone. Designed by Ellis Maples, Boone Golf Course is the premier golf course in the area, even though it was designed back in 1959. The Watauga River’s fast flowing waters have created some of the best spots to raft after heavy rains and during the summer flood period. The Watauga Dam controls the water levels of the river and nearby Watauga Lake and at certain times of the year it creates surging rapids that cause rafting enthusiasts from all over to flock to the creeks all around Boone. Vacationers love gem mining and, as a result, there are numerous little outposts and mining spots all around the area that offer gem mining. Most of the outposts use a specific kind of mining, called plume mining, where the mineral ore is mined via a plume with rushing water in which you can then place buckets and wash off your treasures. Some of the mining spots are indoors and others are strictly outdoors. Boone is the heart of the High Country in so many ways, and one in which it is quite obviously the center of everything is shopping and the retail sector. The Boone Mall, which was recently renovated and expanded, is a great place to go for deals and steals. However, the numerous locally owned and operated boutiques and stores are great, too. There are far more stores, retail chains and commercial shopping areas in Boone than in any other place in the surrounding Blue Ridge Mountains of Ashe, Watauga and Alleghany Counties. 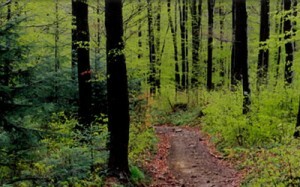 Are you searching for Boone NC Real Estate or planning to purchase real estate in the High Country? Let me help you with all of your real estate needs.. I always make my clients’ needs my top priority, and whether you are intending to buy North Carolina Mountain Real Estate to use as a vacation getaway, a place to settle when you retire, or to serve as a part of your investment portfolio, I can help you with any of the above. Contact me today and let’s begin working together!